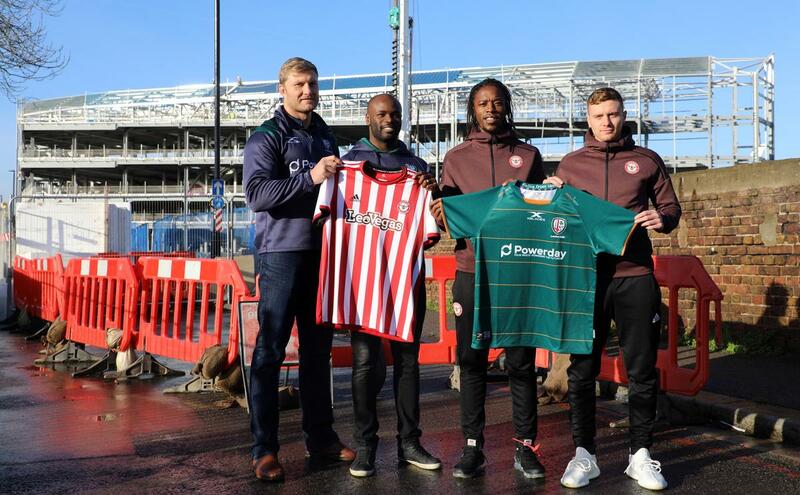 Championship rugby club London Irish has confirmed it will make Brentford FC’s new stadium its home. The 17,250-capacity Brentford Community Stadium is due to be completed by the start of the 2019-20 football season and the Irish will begin playing home games at the venue from the 2020-21 season. London Irish had been in talks with the football club for more than a year over the ground share plans. The club has played at the Madejski Stadium in Reading for the past 18 years – since the 2000-01 season – but has now taken the option of a break clause in its contract, which was due to run until 2025-26. “In moving to the Brentford Community Stadium we feel confident that we will be able to attract a larger supporter base to join us as we build for the future, reaching out to our previous west London catchment area, to Greater London and the Irish diaspora throughout the UK,” said London Irish’s president Mick Crossan. “We are therefore very pleased to have agreed on this deal with Brentford's management and are looking forward to working closely with them to make the Brentford Community Stadium an outstanding home for us. “The excellent transport links will mean that our existing and new supporters alike will find the stadium very accessible. "We will be working hard with our existing supporters including all those based in the Thames Valley to highlight the various routes into the Brentford/Kew area given the adjacent M4 and existing train and underground services, as well as the new Crossrail connection which opens in 2019 linking Reading into west London." Brentford FC chair Cliff Crown added: “We're building a high-quality stadium fully equipped and ready from day one for both Premier League football and Premiership rugby.